The term refers to assets, or commodities of value, that are no longer available for exploitation by the owner of those assets. They no longer have a useful life, in economic terms. In the context of climate change, the assets in question are fossil fuels, notably coal and oil. The reason such assets could be stranded is that governments or societies decide that burning more fossil fuels creates too big a risk for further global warming, with all the catastrophic impacts. To keep assets stranded, in the case of fossil fuels, they need to be kept in the ground — no more extraction — a rallying cry for those opposed to burning more fossil fuels. The means for stranding the assets could be through governmental regulations, such as limiting or even banning extraction or through carbon pricing that makes extraction and use of such assets too expensive. Or, market forces can lead to stranded assets as through greater reliance on renewable energies, because of consumer demand or lower costs. If such assets are stranded, the economic loss to the fossil fuel companies, and their shareholders, may be substantial. Besides fossil fuels, identify other assets that might be stranded because of the dangers of climate change. Identify any existing governmental regulations that may be contributing to the stranding of fossil fuel assets. 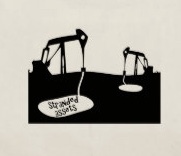 How is the campaign to divest from the stock of fossil fuel companies related to stranded assets.